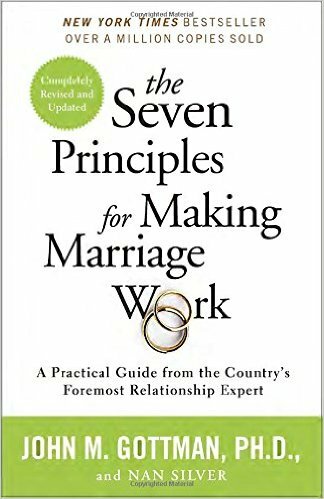 John Gottman, Emeritus Professor of Psychology at the University of Washington and namesake of the Gottman Institute, has conducted research on hundreds of romantic couples (most of the following discussion applies to friendships and all kinds of relationships). His books and workshops are highly recommended. 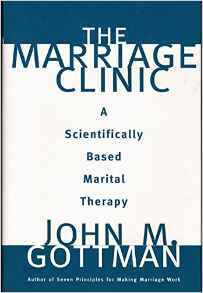 I use many of these principles in my therapy work with couples. One of the primary findings is that couple’s who communicate in ways that include “the Four Horsemen” have more miserable relationships and are more likely to get break up. These Four Horsemen of a Relationship Apocalypse are criticism, contempt, defensiveness, and stonewalling. I like to think of each of these Horsemen having a halo, an alternative behavior that may be somewhat related to their apocalyptic brethren but are actually healthy for a relationship (halos are formatted below with an * around italicized words, like *this*). 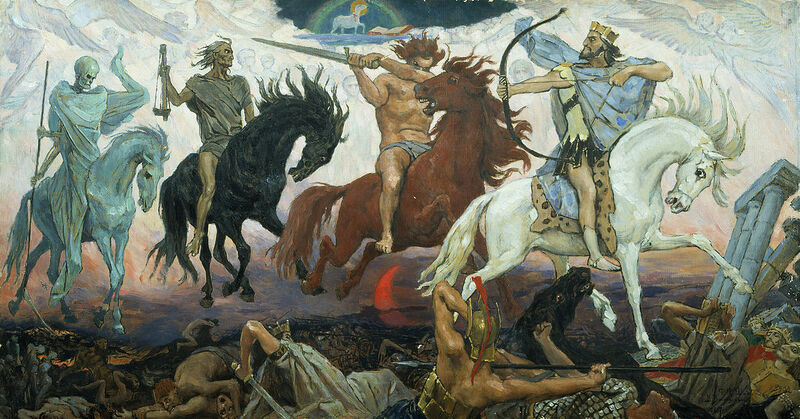 The Four Horsemen are exhibited in relationships in what I would call quadrant two of a four quadrant view of relationship communication (see this article). The second quadrant is characterized by avoidance strategies of fight-flight/violence-silence. The halos discussed below are all examples of intimacy strategies, also discussed in the same article. Contempt is a serious form of criticism. Characterized by eye-rolling or reactions of disgust to what someone is saying or doing, contempt if a form of abuse and does not help relationships. Criticism, a more toned-down version, shares with contempt the judgement of someone’s character as bad or lacking in some way. The word “character” is key. Criticism is about someone’s character or their personal traits. *Complaining*, so often maligned in our culture (e.g., “stop your whining”), is actually a halo to both contempt and criticism. It is a healthier behavior if we define complaining as focusing on someone’s behavior rather than their character. For example, if I tell someone that I don’t like that they leave their dirty socks on the floor, that is a complaint about specific behavior I don’t like and leads to an obvious request (e.g., “Would you please pick them up.”). Contrast that complaint with the statement, “You are such a slob!”, a criticism or an expression of contempt if strong enough, that is not likely to be received well and does not actually suggest specific behavior the speaker would like changed. Patients often might point out that complaints — while easier to hear than contempt or criticism — are still not easy to hear. That’s true, and it brings us to another of the Four Horsemen, defensiveness. Defensiveness is feeling criticized or hearing something as a criticism (of your character) when you have not, in fact, been criticized. Obviously we’re going to feel criticized when we actually have been criticized (e.g., when someone calls us a slob). And, it is perhaps warranted to defend ourselves against such abuse. However, if someone has simply complained about our behavior (e.g., “I don’t like it when you leave the socks on the floor”), it is our job to be able to hear that, understand that they are not impugning our character, and either consider what we might due to accommodate them (e.g., make an effort to pick up the socks) or refuse (e.g., “I understand it upsets you to have my dirty socks on the floor, but I’m not willing to pick them up.”). If I had a dollar for every couple I see who is defensive I’d be a very rich man. And, if I could change defensiveness, couples would recover more quickly from mistakes and gradually increase their mutual influence (a key quality of successful relationships) to improve their satisfaction with that relationship. Notice that if someone is defensive, they feel as if they have been criticized and as far as they are concerned, they have been criticized! Naturally, they are more likely to respond with the violence of contempt or criticism and off the couple goes toward a miserable and unproductive interaction. By the way, you can use as many halos as you wish, but if the person you interact with is perceptive (they pick up on subtle cues, not itself a bad thing), defensive, and not aware of these aspects of themselves (this combination is one I call the Unholy Trinity), you will likely have to wait until that person has done a lot of work on themselves before you will have much success. That’s because they pick up on subtle cues (eyebrows, body language), interpret all of them as criticisms, and can perpetrate a lot of violence that they feel is justified because they are not aware they do this. The halo for defensiveness has two parts: *self-compassion and realistic thinking*. Most people are defensive because they have a running self-critical commentary running in their heads much of the time — they criticize themselves and are thus already primed to hear what someone else is saying as criticism. Substituting that self-criticism with self-compassion is part one of this halo. Part two is thinking realistically about what someone is saying to us. We all make mistakes. It is not self-compassion or very connected to reality to touch a hot stove, for example, and fail to learn what we need to do differently next time (e.g., be careful around stoves). Nor is it realistic or helpful to call ourselves an idiot for touching a hot stove. This is what psychologists would call a stable, global, internal attribution. Calling myself an idiot is about me (internal), is stable over time (I’m not calling myself an idiot just for now; the implication is that I’m always an idiot as a trait), and is not domain-specific (it’s not saying I’m careless in the kitchen, a possibly realistic and helpful complaint about my own behavior; rather, its form suggests that I’m an idiot across all domains, as a trait). Stable, global, internal attributions are associated with rumination, helplessness and depression (see chapter 3 of this book), and do not suggest solutions (how do you solve being an idiot?). Notice, of course, that this is criticism and possibly contempt turned inward. The final Horseman is stonewalling and represents a form of silence. This occurs when someone simply refuses to discuss something anymore and will not agree on every discussing it. There are many forms of stonewalling, from the use of sarcasm to simply deflect sincere attempts to communicate to “the silent treatment” that can last for days. The central characteristic of stonewalling is a refusal to engage. It’s very effective and very frustrating. The halo for stonewalling is *taking a negotiated break*, e.g., “I need to take a break right now, can we talk about this tomorrow?” Everyone has the right to take a break and breaks are used best when both parties decrease their fight-flight response by calming down. After such a break, all of us are more likely to be successful at having a skillful disagreement (a 3rd quadrant phenomenon with a simple — but not easy — communication solution, the Empathy Dialog), solving the problem at hand, or simply realizing that what we thought was a disagreement is simply a misunderstanding. This post has been read 1011 times.